Occasionally valve positioners have to be mounted in locations with high temperature. Most all standard and digital positioners are limited to around 85°C / 185°F to retain its performance and accuracy. To meet this challenge we designed the V200PEHT (Pneumatic Extra High Temp) that is rated for service from -40°C / -40°F up to 163°C / 325°F offering a wide range of temperature applications. Special coating and high temperature seals are selected for this product and all other heat sensitive materials are substituted. The combination of this product with a reliable remote mounted IP converter can be utilized to solve high temperature applications. 20-100kPa / 3-15psi instrument signal. 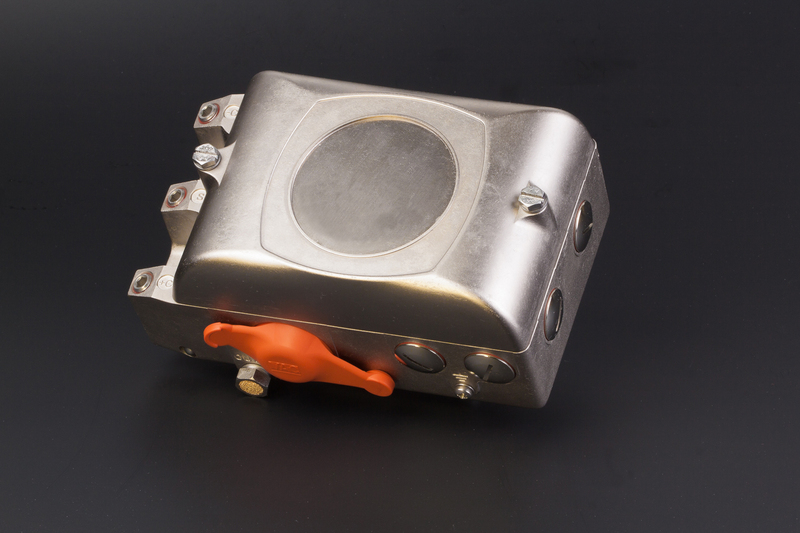 (Option for operation on a 40-200kPa / 6-30psi instrument signal is available.) With a rugged IP66 / NEMA 4X die cast aluminum housing and nickel coating the unit has an excellent protection against a wide range of environmental conditions. Standard features like the external zero and span adjustment makes this positioner very user friendly for calibration and maintenance. With the unique snap in drive shaft design the unit can be used for versatile mounting to various actuator applications including rotary and linear actuators. The gauge block is cast into the housing and therefore standard. Options like special cams are available. This product is just as simple and rugged as the V200P, add the wide temperature range to it and you will get a very good quality product for high temperature applications.